Grand jury indicts Norman Wielsch & Christopher Butler. FBI agents arrested a former Contra Costa County drug task force commander and former Concord private investigator Monday on a 17-count federal grand jury indictment alleging the pair engaged in police corruption, extortion, armed robbery and drug sales. A grand jury in San Francisco handed down the indictment on Aug. 8 against Norman Wielsch, 50, of Antioch, and Christopher Butler, 50, of Concord, according to United States Attorney Melinda Haag's office. 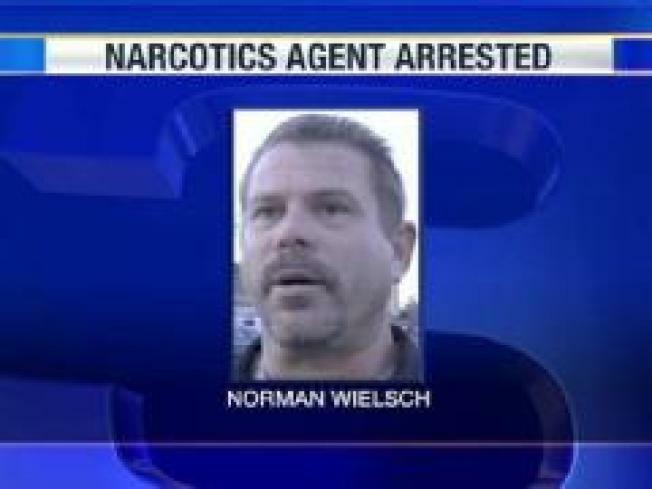 The indictment alleges that Wielsch, who was working as the commander of the state-run Central Contra Costa County Narcotic Enforcement Team, known as CNET, stole methamphetamine and marijuana from county evidence lockers and, working with Butler, a private investigator and former Antioch police officer, sold them back out onto the streets. The two men are also charged with committing a phony sting operation in which they falsely detained a person, conducted searches without warrants and seized drugs from him while pretending to be conducting a legitimate law enforcement operation. The indictment also alleges that Butler opened a massage parlor in Pleasant Hill where prostitution was occurring. Butler allegedly required the prostitutes to pay him a weekly fee, which he allegedly shared with Wielsch, in exchange for Wielsch providing them protection from law enforcement. The pair also allegedly conducted false stings of prostitutes in which they arranged to meet them in local hotels and then, pretending to be acting under legitimate law enforcement authority, stole money and property from them, according to the indictment. Several of the charges in the indictment carry possible life sentences, according to Haag. The two men are being held without bail pending detention hearings scheduled for Thursday in San Francisco for Butler and the following Monday in Oakland for Wielsch, according to Haag's office. The case began in January as a Contra Costa County investigation, but as it continued to expand, District Attorney Mark Peterson made the decision in June to turn it over to federal investigators. The D.A. was forced to drop dozens of cases after Wielsch's arrest. The original case named two more defendants, former Danville police officer Stephen Tanabe and former San Ramon police officer Louis Lombardi. Information about whether federal prosecutors plan to charge Tanabe and Lombardi was not immediately available. Jack Gillund, spokesman for the U.S. Attorney's office, said he could only comment on the indictment itself, which did not mention the two other defendants.